So, you’ve found the one. After months or even years of coupled bliss, you’re certain this is the person you want to spend your life with. You head to your computer and search for “engagement rings” … only to be swarmed with details and terms you’ve never heard of. What’s the difference between a princess and a cushion cut? Since when do diamonds have “fire” in them? And what on earth are the 4C’s? If this little scene sounds all too familiar, don’t worry; here at Brilliance, we’ve got you covered. We’re happy to clear up the mystery and get you all the information you need to find the perfect diamond for your perfect partner. A diamond’s dimensions include the length, width, and depth measurements of the stone. These dimensions form the basis for evaluating the cut of a loose pear diamond, since this shape does not get an official cut grade from gemological laboratories. Not every stone is cut the same way, but the dimensions and some derived values can help put the cut into perspective and help you determine the value of a stone. The three values you should ask after are the diamond’s depth percentage, table percentage, and ratio. These numbers tell the story of the stone’s brilliance and fire, and the better they are, the more beautiful, and valuable, it will be. The depth percentage is the depth of the diamond (the measurement from table to tip), expressed as a percentage of the total diameter. For a loose pear diamond, it should be between 56 and 65 percent. The table is the cut, flat part on top of the diamond, and it is actually the largest facet of the stone. Table percentage is the size of the table as a percentage of the total surface area, which should be between 53 and 57 percent for a pear diamond. Finally, the ratio of a diamond is the value of the length divided by the width of the stone. 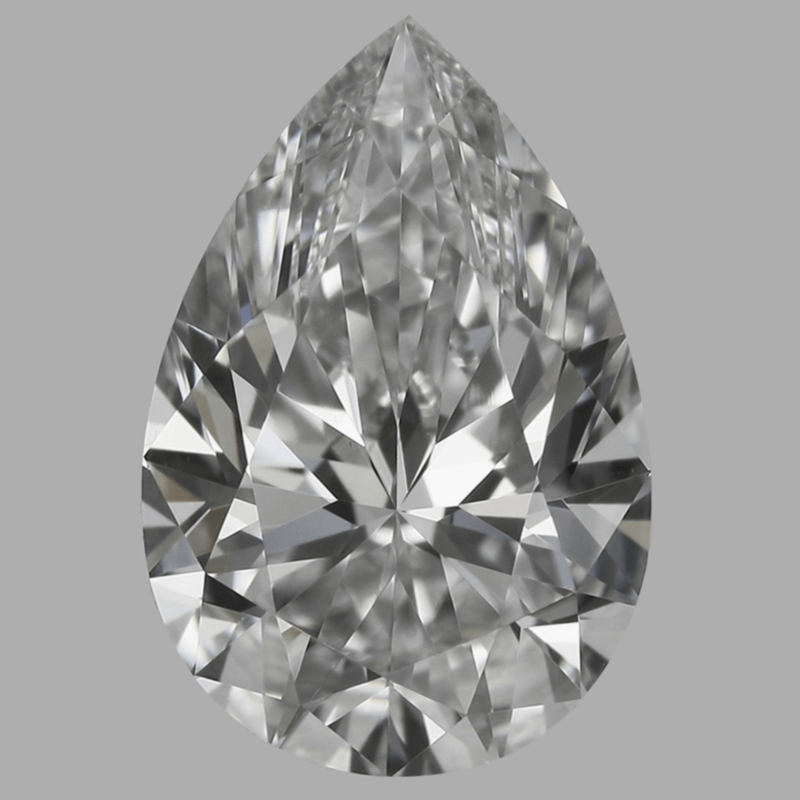 For a pear cut diamond, you want your ratio to be between 1.55 and 1.65; any larger or smaller and the diamond will lose its unique teardrop shape and leak light reducing the beauty of the stone. The Gemological Institute of America, or GIA, has created a grading scale to determine the best color and clarity levels for diamonds. For colors, the scale begins with D (a completely colorless stone) to Z (a completely yellow diamond). Pear shape diamonds, due to their unique shape, can get away with a color level as low as H before the discoloration becomes noticeable. Clarity is the presence of internal or external imperfections, denoted using abbreviated descriptions and levels. FL, or flawless, is the highest grade possible, and stones are awarded either an IF, VVS1, VVS2, VS1, VS2, SI1, SI2, I1, I2, or I3 depending on how many visible inclusions (flaws) there are. 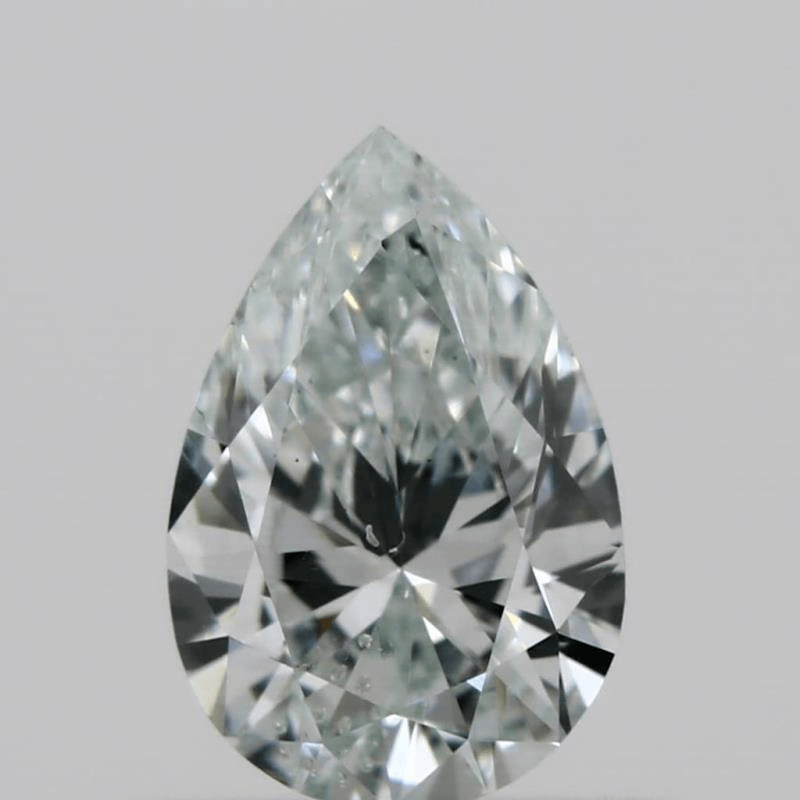 Again, the unique shape of a pear cut diamond gives you a little leeway here; anything rated as an SI1 or better will look beautiful. 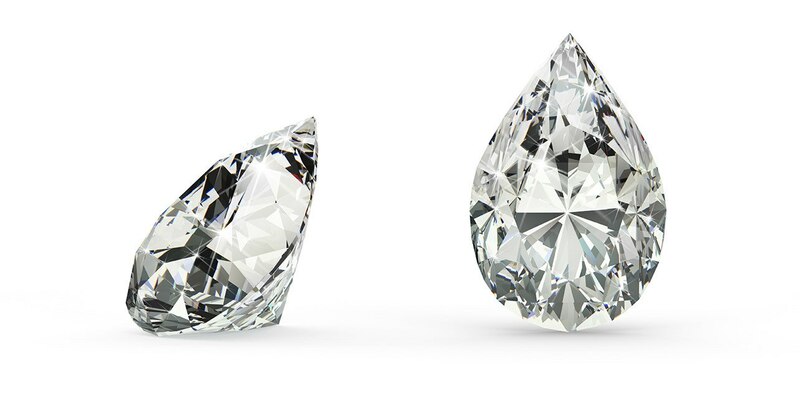 With these ranges in mind, you’re bound to find an incredible-looking pear cut diamond with the best quality and value. Once you’ve found your diamond, check out our Perfect Pear Diamond Engagement Ring guide to find the right setting for your bride-to-be!